Visionary Shamanics Records and Cosmic Touch (Nico Kumpulainen) proudly present the Finnish producer’s third offering on Ektoplazm. 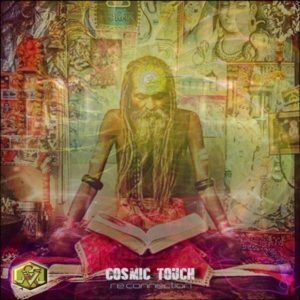 Reconnection is a detailed vibrational description of an ancient astral journey. In the first chapter the traveler encounters the original force, the great resonator. The journey continues through the collective memory garden, a place of vast emotion, to reach the source. There a moment of reconnection with all that is awaits. The resonances in the last chapter depict the traveler being pulled back into the physical through the ether using sacred sound. Intense percussion, deep bass lines and mystical sounds provide the vehicle for this out of body experience. Mastering by Astropilot with visionary art by Martin Hawk and shamanic poetry by Mystical Voyager. MP3 Download | FLAC Download | WAV Download · Download count: 9,245.